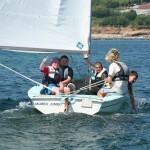 The Wayfarer is possibly one of the greatest and well-known designs of larger sailing dinghy. The Wayfarer is the main instruction boat for most UK centres due to it being incredibly stable and spacious and its ability to sail incredibly well in a large range of conditions. 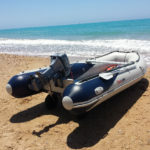 The majority of our sailing courses will start in these versatile boats, and they make a great choice for sailing boat hire.